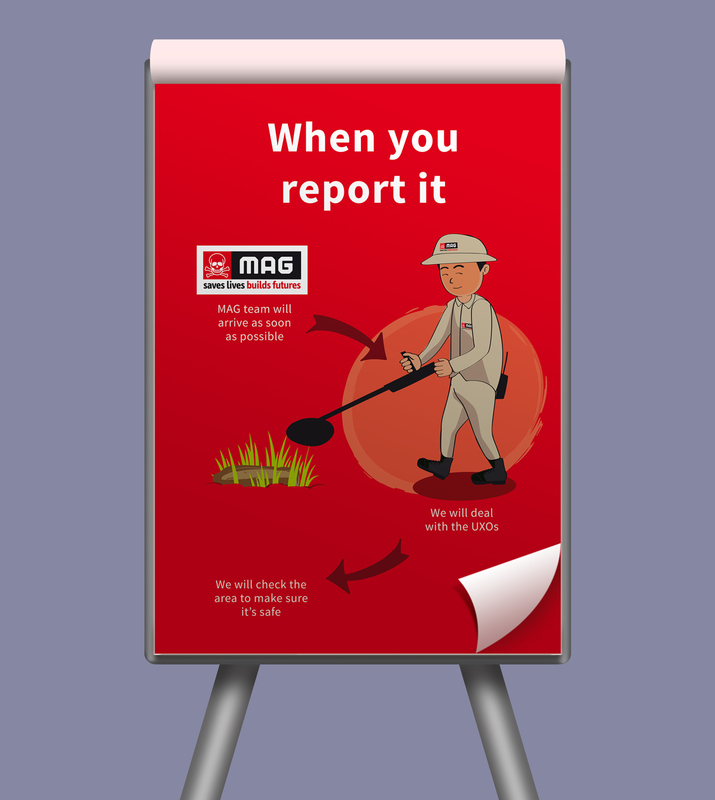 Mines Action Group (MAG) International makes life safer for people in conflict-affected communities through providing landmine and unexploded ordnance (UXO) clearance, risk education and other related services. Its work in Vietnam is predominantly in rural communities in the centre of the country where, four decades after the end of the war, land is still heavily contaminated with UXOs, including cluster munitions. 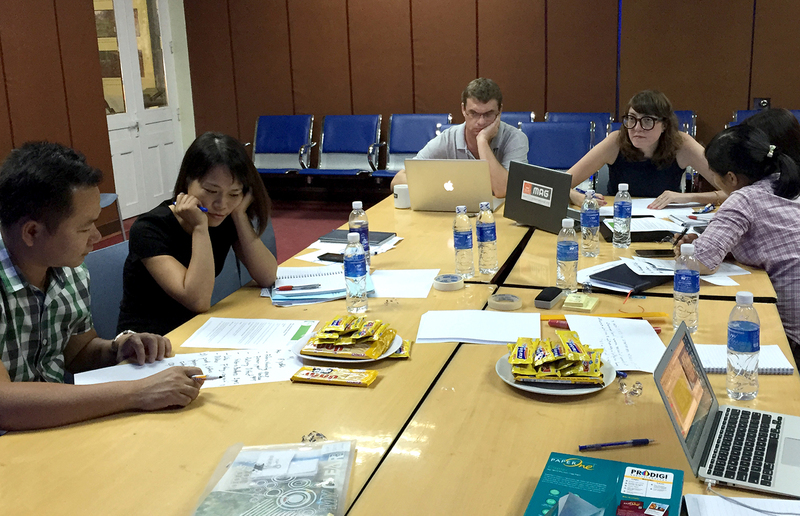 Risk education is a large part of MAG’s work in Vietnam but the materials it was using were dated and uninspiring. Crunchy Frog was briefed to develop the content and design for new materials that would be impactful, engaging and effective across a range of audiences. In order to prepare a clear brief for products, messaging and design, we facilitated a workshop with a cross-functional team from MAG. After discussing the role of the communications, the next task was to identify and profile the target audiences. As a result, we agreed on three audiences: younger kids, teens (predominantly boys) and farmers. In small teams, the group then worked on developing messages for each audience. To do this they discussed the target’s current behaviour, what MAG wants them to do, what MAG therefore needs to educate about and the tone of voice. From these inputs, we identified commonalities across audience: an over-arching message; the topline behaviour change required; the message style; and the need for positive, benefit-led messages rather than scare tactics. Once the overall recommendations from the workshop had been approved, we developed the copy for the posters and flipcharts. 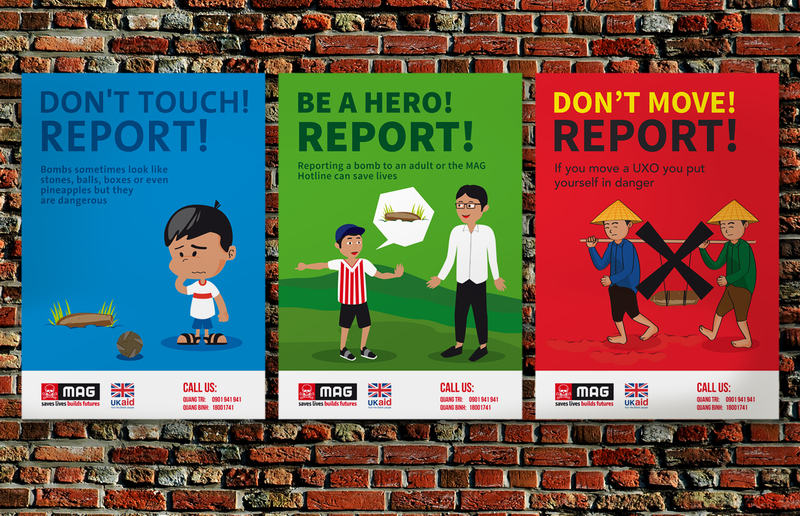 Messages were then developed for each set of four posters focussing on the key communication points. A different style was adopted for each of the multi-page flipcharts: for kids and teens it tells a story whereas for farmers it presents information in a more factual manner. At this stage all content was in English, but once approved it was later translated by the MAG team. In parallel to writing content, we started to explore visual directions. The first step was to gather a range of illustration styles that would be relevant for each group. These were presented alongside poster mock-ups. Further to client feedback, one direction was developed for each audience. 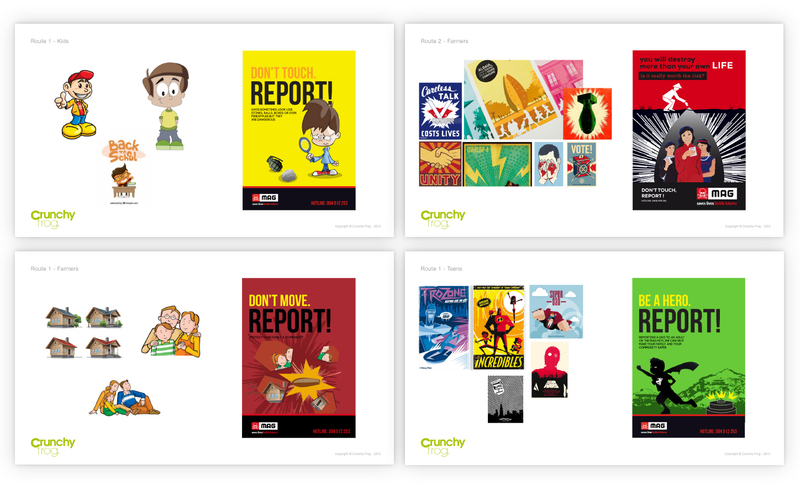 We illustrated characters for use on the kids and teens materials and gave each product set a strong and distinctive colour palette. 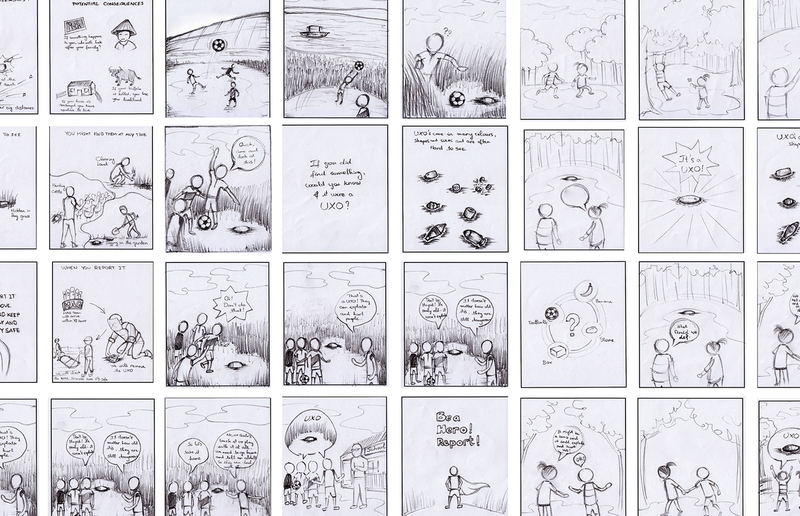 Before design was applied to the flipcharts, we sketched out each page to make it easy for the client to review the stories and messages and comment on the selected visuals. the flipcharts and the kids’ card game. which was felt to lack relevance to the rural audience. We also made tweaks to dress style and background landscapes. three sets of posters. These went through a few rounds of amends, including a final workshop with the MAG team, to finalise the copy and design content. 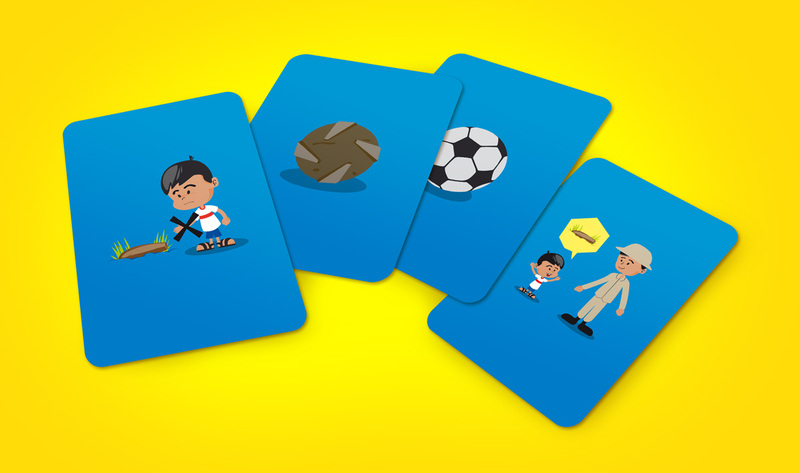 At the same time, the game cards for kids were designed. Three sets of 10 cards were illustrated: one set with photos of “bombs”, one with safe items and one with safe behaviours. These will be used by the MAG team in schools in rural communities. We also designed a ruler for kids – to be a reminder of the Don’t Touch! Report! Message – and a large banner to promote recognition of the UXOs that are present in the area. 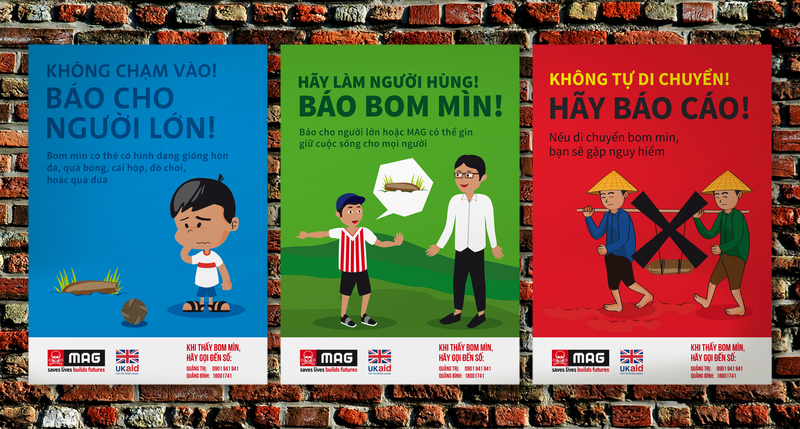 Once English versions were approved by MAG, Vietnamese versions were created for each item, using translations supplied by the client. After approval, print-ready artwork was prepared for all items and supplied to the client ready for printing. The final stage was to prepare videos using the visuals from the flip charts. These were created using Key Note, using animation and a sound track to engage the target audience. The materials are now being used by MAG in Quang Binh and Quang Tri provinces.